Oh how I love the internet. It’s so filled with things that let me avoid doing anything productive on the weekends–wonderful things; infuriating things; hilarious things… things to entertain. Here, two videos that I particularly enjoyed, for very different reasons. This video crossed my path via Reddit. I love watching it when I’m having a bad day. It perks me right up! I also encountered this via Reddit. I laughed for a good 5 minutes after seeing it, causing my boyfriend some concern. Hmmm… after reading over this post, I’m thinking maybe my problem isn’t the internet. Rather, it’s Reddit! One of my “Aunts” sent a link to a site discussing the work of photographer Rion Sabean. He did a series of pictures of men posing like classic pinup girls. My favorite is this one, which I find ridiculously cute. 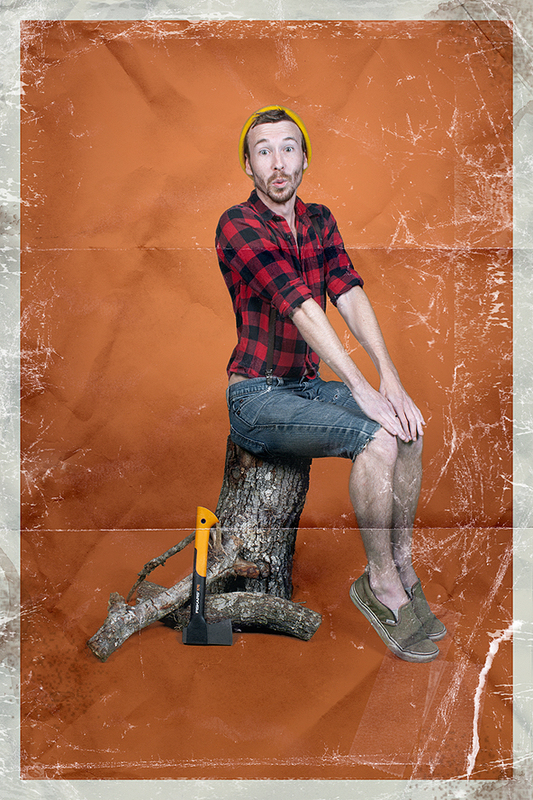 He looks like a hipster lumber jack! You can see the entire series on Rion’s site here. You’re supposed to be able to buy prints of his work from his site, too, but I haven’t figured out how to do that. Something is incorrect on the internet! How can that be?